Integrated into the color-matched tower, the extended Bimini top includes an adjustable sunroof and solar panel for charging. Touchscreen provides all critical boat and entertainment functions, with a new GPS-enabled nautical chart. The custom-tuned stereo system includes a sound bar, dual amplifiers and subwoofer. Yamaha's award-winning, patented design is the perfect area for staging watersports. The triple ballast system adds up to 1,400 pounds (180 gallons) of weight to create the perfect wake for riding or surfing behind the 242X. 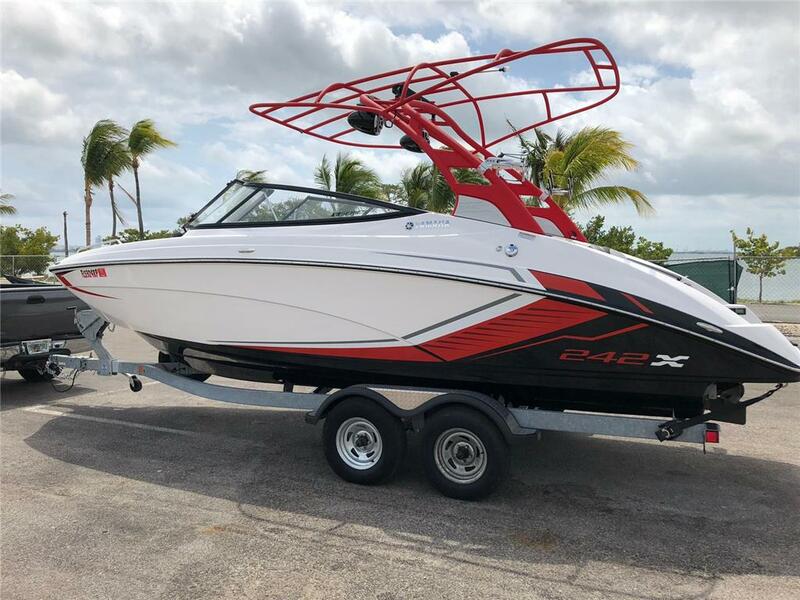 I am interested in your 2018 Yamaha 242X E series and would like more information. Please let me know. Thank you!